PS: The sun was also shining in Belfast all week and my Irish friends were enjoying the World Cup enormously ... not least the performances of France and England. 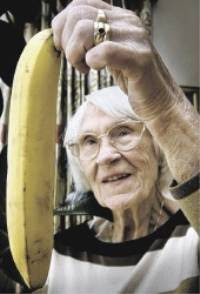 This one, a 90-year-old woman who has discovered a straight banana, comes from the Harrogate Advertiser via colleague Nick Jenkins. Banana drama? Still think the woman who couldn't find custard powder in any of her local shops edges it. 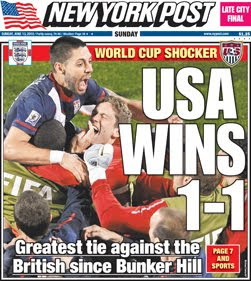 The Guardian's excellent galleries include some good World Cup fronts including the New York Post I mentioned earlier. 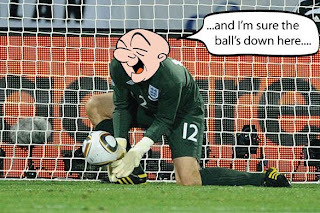 And if you missed the readers' funny - and sometimes dark - perspectives on the England V USA game take a look at these. Creative sports coverage again from The Guardian. Interesting graphic showing the circulation of British newspapers from the Business Management website. 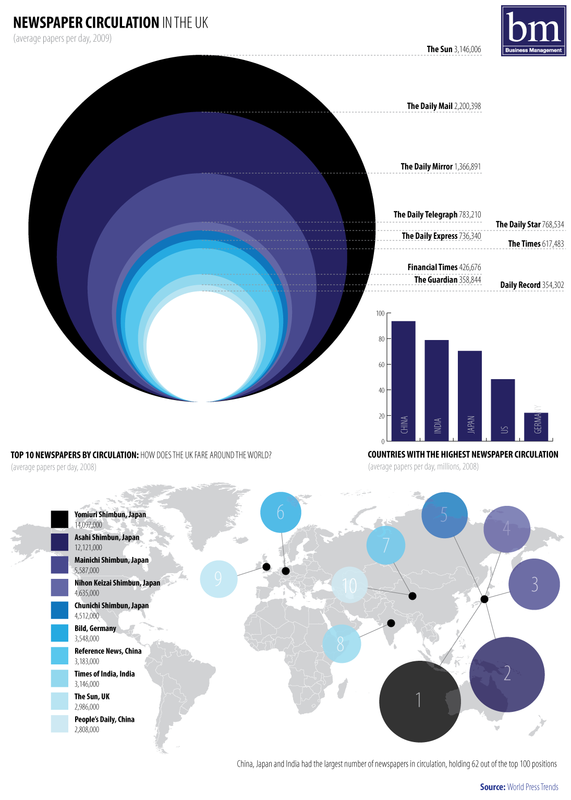 It also shows that newspapers are clearly still very big in Japan, despite that country's love of digital innovation. What's the secret? Might have to go on a fact finding tour. Gloomy night on Saturday. Whatever the positive spinners might say, England didn't look good. Even forgetting the Green blunder, the defence was all over the place failing to win the ball on just about every corner and free kick. And Carragher and Terry looked far too slow. Dawson should start on Friday. And to add it all we had friends round to watch it on HD, so missed Gerrard's goal. Argentina, by contrast, look sensational and the Germans don't look too bad either. I fear we won't get past either of them. Anyway, to cheer you up here are a couple of post-match newspaper funnies. First watch this recreation of the game in lego by The Guardian - far more entertaining than the original. And then there's this headline from the New York Post that just about puts everything into context. 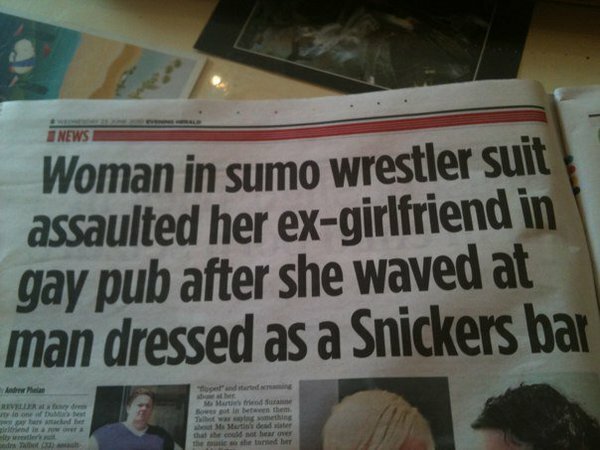 I wouldn't normally pick up on basic errors but this headline and article from the London Weekly, really deserve a mention. I was always taught to never leave the reader asking questions ... such as: Was she eight or nine? How can you have eight (a plural) with year (a singular) without a hyphen? What exactly does 'local London' mean? 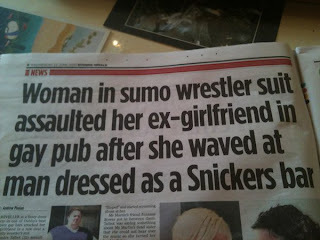 Why is the first letter of each word capped up in the headline? Is it necessary to use 'swimming' twice in the intro. Is 'luckily' an appropriate word in a news story? Why do we allow anonymous communication people to take up half the story with their PR-speak? Oh, and somewhat critically, did the girl drown or not? Luckily, I am pleased to report, she didn't. A couple of issues have the typographical world hot under its collective collar this week. The purists are particularly upset at the poor typography on the iPad ... just four fonts in iBooks and full justification with hyphenation the only option. 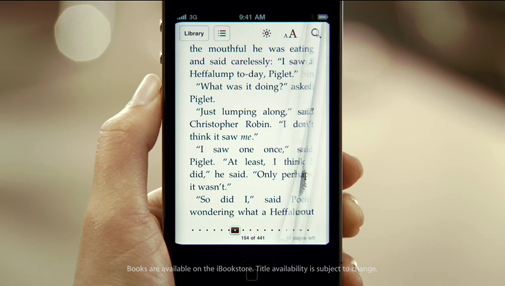 The fonts on the iPhone 4G, Helvetica and Arial, have also come in for a pasting with some commentators even arguing (gasp) that Microsoft is better than Apple. A huge debate has grown up from the initial posting on The Font Feed and a piece entitled Better Screen, Same typography. It's all a bit surprising that Apple should be criticised for typography, given that it was the Mac that pioneered desktop publishing and turned everyone into a potential typographers. Hopefully, given that the type types, have been doing their best to crash Twitter with their outrage, Apple will be stung into action in time for the next generation of gizmos. 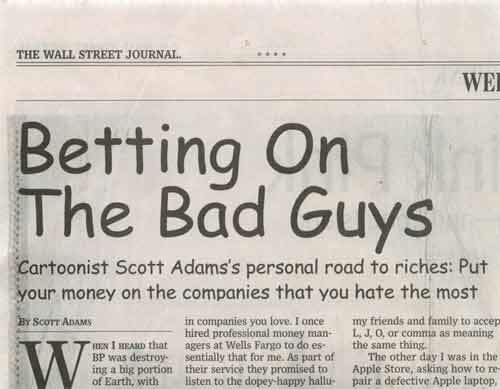 Equally alarming, though, is the Wall Street Journal's decision to use Comic Sans on a news headline this week (albeit on a story about a cartoonist). As you probably know Comic Sans is the most vilified of fonts. There is even a Ban Comic Sans campaign and, should you be minded, you can buy t-shirts declaring your hatred for the Microsoft font. The comments on Typophile about the WSJ's lapse include 'the barbarians have breached the gates and made it inside the walls of the city' and 'heads should roll'. Microsoft better than Apple? 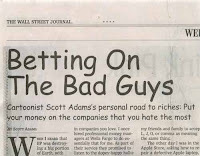 Comic Sans in the WSJ? Sounds like Armageddon to me. An amusing look at the 'Boston Globe redesign'. Hyperlocal editions at their most extreme. Funny ... even for a dyed-in-the-wool print journalist. 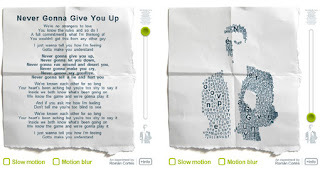 I know typography can make a page sing ... but now it can make it dance too. 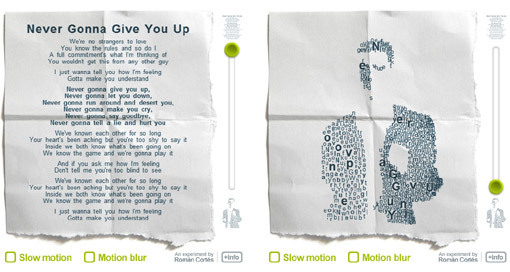 Clever type graphic from Spanish designer Roman Cortes. He has created a nice tribute to the Beatles too. Very impressed by this digital graphic from the Spanish daily sports paper Marca. Everything you need to plan your world cup in one simple dial. Clever stuff ... and from a newspaper too! Does anyone in newspapers proof-read any more? Long gone are the days of copyholders and readers but there still needs to be time left for someone armed with a ruler and a pen, to go through the pages in detail and make the corrections. It would certainly have saved the Citizen & Times its recent embarrassment. Anyway, here are two proof-reading videos. One is to make you smile, the other is a more serious guide to proofing marks. The latter will surely be redundant soon. If you are reading a proof why mark it up for someone else? Just do it yourself. Saddened to read about the death of North-East photographer Ken Stobbs on HTFP. When I joined the late Shields Weekly News in 1977, as a fresh faced trainee in a John Collier suit, Ken showed how me around the rough, tough town that is North Shields. He quickly convinced me that the suit wasn't such a good idea down on the fish quay ... and I started leaving jeans and a donkey jacket in the office! I will always remember Ken with affection, for taking time to show a trainee the ropes, always bringing a quick line and a sense of fun to his work, even when we were freezing on the picket line, and taking great pictures. RIP Ken. Read Janis Blower's tribute at the Shields Gazette. This front page from the Times & Citizen in Bedordshire has been doing the rounds. 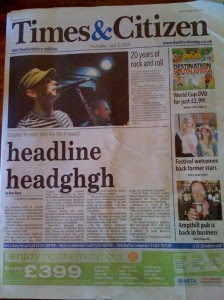 I have seen many 'heady heady heady' mistakes but never on the splash. It is, I guess, a symptom of many things happening in the industry. But my beef is over the two-deck syndrome that blights newspapers. Since templating became the quick and easy way to produce pages, managers and even subs have forgotten that layout is a journalistic craft. 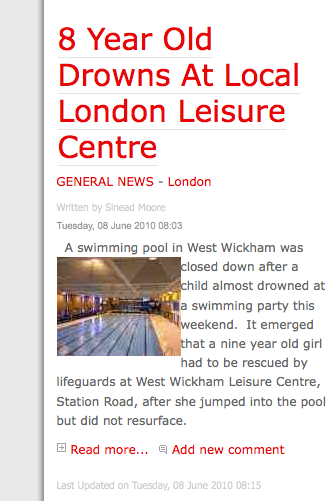 It should be easy - read the story first, write the best headline you can and then build the page around it. When Concorde crashes into a hotel outside of Paris, you have to get 'Concorde' into the headline. "Fast jet' isn't quite the same. When a killer wheels his victims' bodies to the Regent's Canal is a shopping trolley, you have to get 'shopping trolley' up there.